Yesterday a customer rang and asked for a refund on a dress she had bought last week – she had taken it home and found some yellowing in the 60 year old silk party dress, so would like to return it. Absolutely, I replied – we take returns for any reason. I’m sorry that my dress does not meet your expectations. (The delightful Marianne from Esme and the Laneway tried on the frock some time ago). I live in an imperfect world, but vintage is not for everyone. In my world, material things have lived a life and they usually show the little scuffs and marks that reveal their stories, their adventures and their history – sometimes the marks make them unusable or unwearable: a house that has burnt to the ground can no longer be lived in, but one that only needs a fresh coat of paint is just fine, especially if you’re not the sort of person to be bothered by a little peeling paint. My home – it won’t surprise you to learn – is second hand. I call her the War Baby: Betty built her in 1942 and she’s like a budget Art Deco, built strong and sturdy with double brick and a Clinker Brick glaze, but with no unnecessary flourishes. High ceilings, open fireplace, ceiling roses and architraves, wood floors in every room. Betty sold me the house in 1999 and I promised that I’d take good care of her – she was shocked that I had no renovation plans, “I love her just the way she is, original 1942”. Many people like to buy a block of land in the sticks and build a big house with many small rooms and low ceilings – vintage is not for everyone. My furniture is all second hand, or as we prefer to call it: an eclectic mixture of Victorian antiques, Jacobean Revival, Art Deco and Mid-Century Modern. The stain has worn off my 1920s oak kitchen table revealing the pale colour beneath, but I enjoy the way it reveals many years of servicing families. It’s the “newest” (to me) piece of furniture I have – the ’20s dressing table with the big oval mirror has criss-crossed the country since 1984, and I think of my mum every time I look at her old Victorian hall table with the barley twist columns. Some like their furniture shiny and new from Ikea: Vintage is not for everyone. 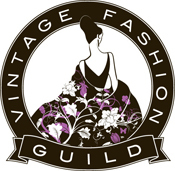 I love vintage clothes, and do my best to find good quality beautiful clothes for my customers. Some just need cleaning, some need a lot of work and I lavish whatever attention they need on them – I take my role as custodian seriously and endeavour to find the right home for the fashions to shine again. Party dresses, ballgowns, cocktail dresses, dinner dresses and evening gowns are the most demanding – “Take me out!” they cry, especially when they’ve been packed away for decades because the lady has grown old, or misplaced her girlish figure. We keep these beautiful frocks because they remind us of happy times and are reluctant to part with them because even unworn, a thing of beauty is a joy forever. 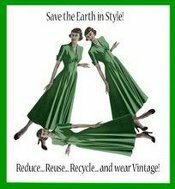 We get them out to show our daughters, we cherish their memories – but one day they might come and visit me, or one of my fellow vintage lovers and the frocks get a chance to live again. They’re very excited! A lot of people buy mass-produced clothes made in Chinese factories at very affordable prices – vintage, vintage my friend, is not for everyone. But for those who appreciate quality, romance, style and the chance to wear a unique item that was so important to a distant someone that she treasured it and kept it safe for decades, before passing it on to a new life – an item that will very likely reveal traces of it’s glamourous past – for you, dear lady, I have treasures – come and let me share them with you. Next Circa Vintage Webshop now on Sale! I now understand, but before, I admit that I was blind. I’m not against modern things, not even Ikea, I installed one of their ridiculously cheap kitchens with wood panelling, into the Gertrude St shop and I loved it. Of course, I did try to find a vintage one first. Great post Nicole! I totally agree. 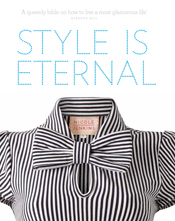 Clothes carry the energy of their wearers. 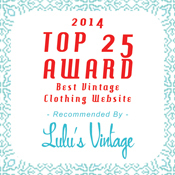 There is an extra intangible beauty that quality vintage garments (and other things! )have, flaws and all. Flaws that say I have lived and I have been loved and I have survived to tell the story adds to the character of the piece. Personally, I’d much rather be enclothed in something that has a tale to tell. And I must say, I’m glad vintage isn’t for everyone, or else there wouldn’t be such amazing dresses left on the shelf for people like me to come and buy, because everyone would want it. Very good point Trish – and the prices would go through the roof! Maybe it’s best this way? I think so for sure! If everyone loved it and wore it, we wouldn’t look as fabulous (If I do say so myself) We wouldn’t get noticed, complimented, asked of course where we found such a marvelous frock, etc etc. I love that we’re in our own little vintage niche. Oh also if everyone wore vintage, I wouldn’t meet such amazing fellow enthusiasts that share our passion as it’d be everyone’s passion and just be common chatter. 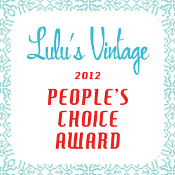 Thrilled we’re special vintage folk! I loved this post. I recently bought the most beautiful black vintage beaded cardigan. When I got it the lining was torn (easy fix) and a friend who was with me when I got it commented on how that was a terrible way to sell it and how could I spend so much on it. The lining was just ripped at the seams. It took 5 minutes to fix. Every single bead was still in place and securely on. The cardigan was still jet black and had no moth holes. All I could think was how did I get this so cheap?!? But as Trish said – thank goodness it isn’t for everyone. Wonderful article. Beauty does transcend time. It’s only been within the past few years that I have fallen in love with vintage clothes, appreciating the quality, uniqueness and elegance they offer. They have a patina that new clothes lack. Still finding my own style, but what fun! What a gorgeous dress! Alas, I seem to have misplaced my girlish figure too (love the phrase). I love vintage, and if anything I find that vintage garments, furniture, everything generally hold up better than modern made. Even when fixes are required I find the underlying item is usually much better made and will go on having a life for many more years to come (unlike too many modern garments that have passed through my hands in recent years sadly.) And I know what excellent work you do in researching and repairing the garments that come into your care. I hope to be frequenting your store for a long time to come. So eloquent, Nicole. We all wrinkle a bit as we get older. Perfection is not necessarily beauty. I love the life and breath within each vintage piece and knowing that there is a mysterious history. Your beautiful dress is just destined for someone else; a lucky gal who will most definitely adore it. Thanks for sharing your experience with us and so beautifully articulating the love of vintage. So true, Nicole. This beautifully written piece brought tears to my eyes. Then again, vintage is most definitely for me : ). I think a bit of sentimentality is part of the bargain. I can relate to your article Nicole as I too love vintage fashion from the elegant styling of the evening dresses of the 1930s, the beautifully shaped and fitted suits of the 1940s to the pretty glamorous party dresses of the 1950s and 60s. Today’s fashions just can’t compete with these cleverly crafted garments made in beautiful fabrics which have stood the test of time proving their quality and timeless elegance. 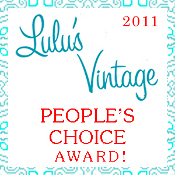 I have to agree with you that vintage is not for everyone but thank goodness it is there for those who appreciate it! I loved reading this Nicole–yes, beautifully written, so true and so touching. Thank you for saying it so much better than I could. Beautifully written and so very true! Thank you. Brilliant and eloquent as always, Nicole.x. I LOVE this post. I read it out loud to my husband and actually choked up before I got to the end. Afterward, I said to him, “This SO resonates with me. I feel like she is speaking to me…no, I feel like she is speaking FOR me!” Thank you for expressing the love of vintage so eloquently. I’m printing this out and putting it on the wall of my workshop! Love it! Your words are perfection. This is why I’ve (just recently) turned to vintage cloting and am trying to convince my partner to go to vintage furniture. Thank you for your post. Very lovely and well written. Having been a vintage clothing and antique collector for over 3 decades, I can relate to this very much! I know exactly where you are. Can’t wait to drop in for a visit. 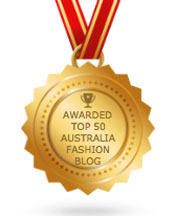 Nicole on Vintage 101: Looking for clues in fashion labels. Nicole on The House of Merivale and a dress with history.